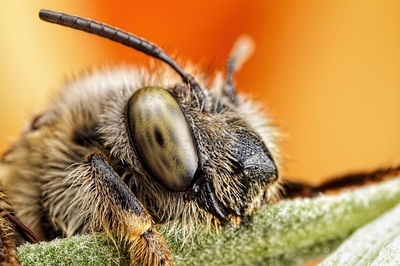 ​There are approximately 20,000 different species of bees in the world. 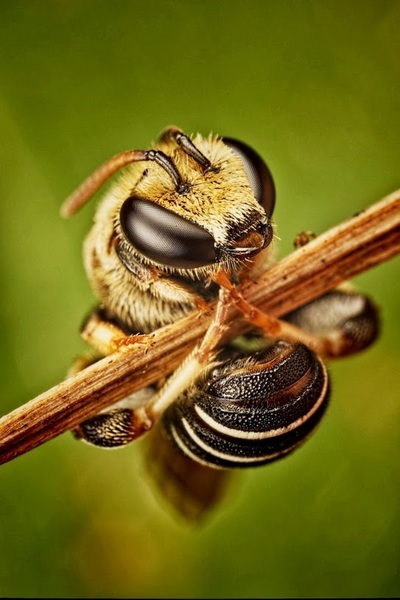 Bees live in colonies, and each colony contains three types of bee. There is the queen bee, the worker bee, and the drone. Both the worker bee and the queen bee are female, but only the queen bee can reproduce. All of the drones in a colony are male. Worker bees clean the hive, collect pollen and nectar to feed the colon,y and take care of the offspring. The drone’s only job is to mate with the queen, and the queen’s only job is to lay eggs. 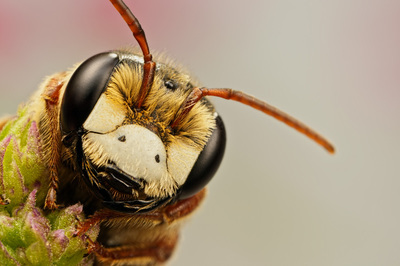 Bees store their venom in a sac attached to their stinger, and only female bees can sting. That is because the stinger, called an ovipositor, is part of the female bee’s reproductive design. A queen bee uses her ovipositor to lay eggs as well as sting. 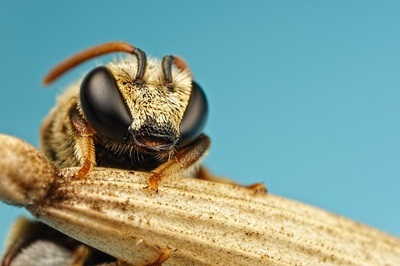 Sterile females, also called worker bees, don’t lay eggs. They just use their ovipositors to sting. Bees see all colors except red. 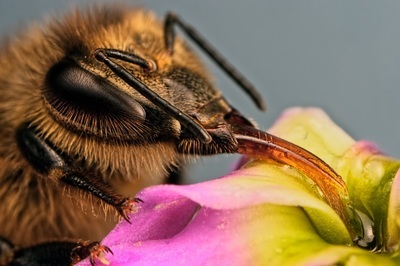 This factor and their sense of smell help them find the flowers they need to collect pollen. Pollen and nectar is the main food source for bees. 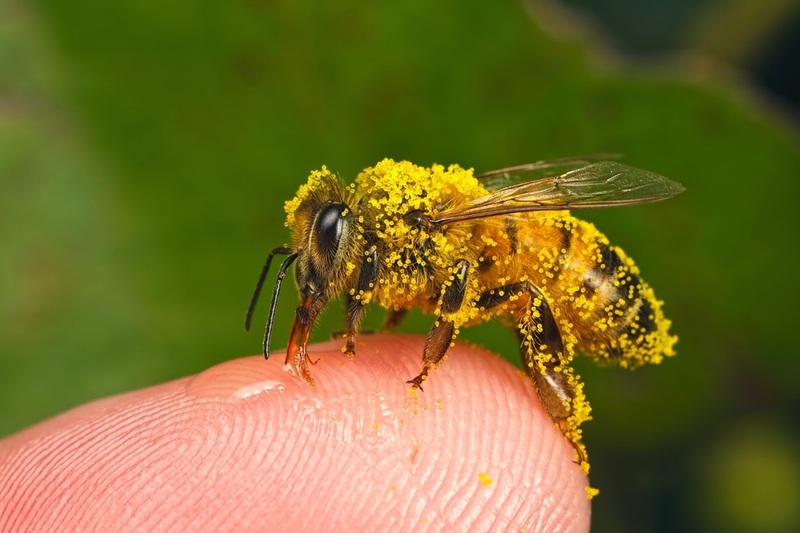 When the bees are gathering nectar and pollen from flowers some of the pollen is dropped in flight and this results in cross pollination of plants. The close mutual relationship between the plant and the insect is called symbiosis. The pollen can be mixed by the bees to make royal jelly, that is a white secretion produced by young, female worker bees. 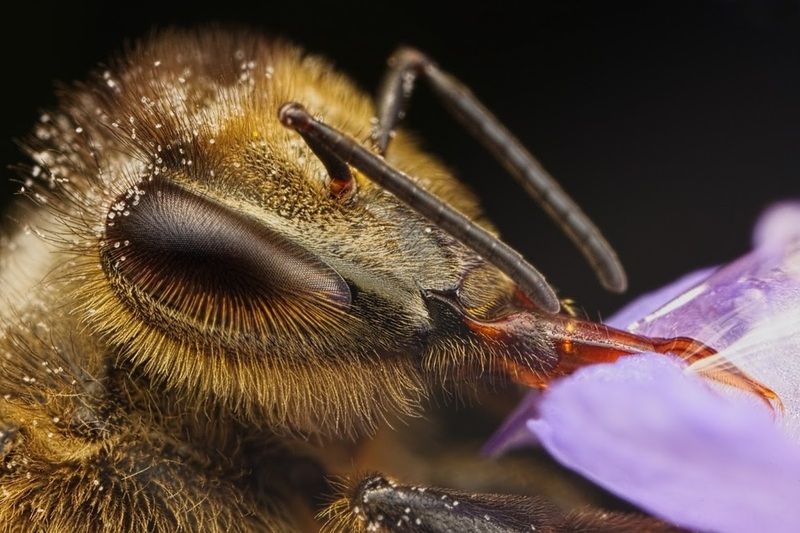 It consists of pollen along with chemicals from the glands of worker bees. Royal jelly contains dietary supplements, fertility stimulants and other medicines, as well as B vitamins. Workers and drones are fed royal jelly during the first few days of larval development, while future queen larvae consume royal jelly throughout their development.Since chosen honey bee queens eat only royal jelly, they grow quickly and become twice the size of an ordinary honey bee. 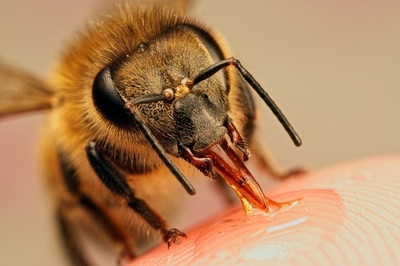 Due to the rich nutritional value of royal jelly, queens can survive five years and lay up to 2,000 eggs each day.